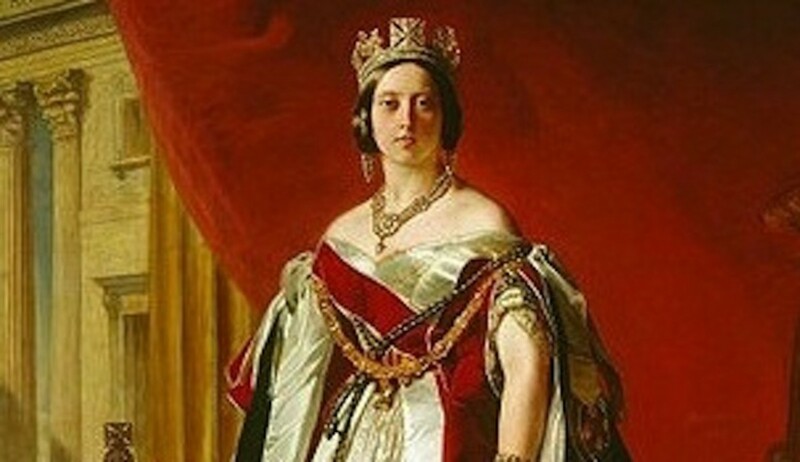 Collecting has been a lifelong passion for Virginia and her collections range from ephemera to tins and Hall china. 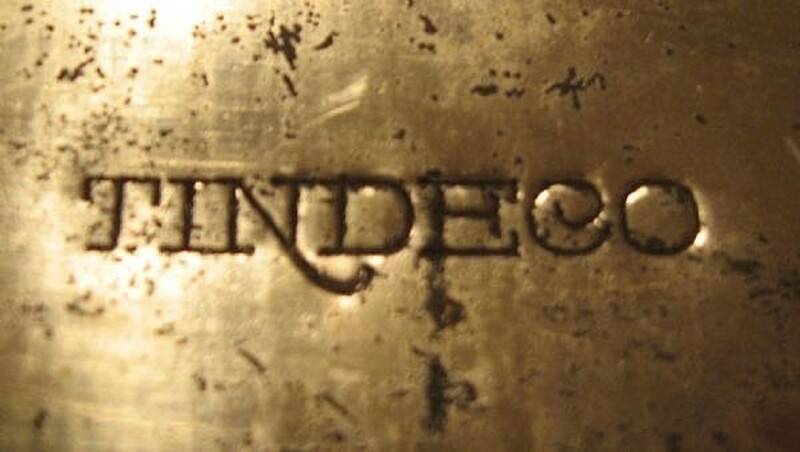 Over the years, I collected decorative tins, particularly from the Tindeco Company of Baltimore, Maryland. 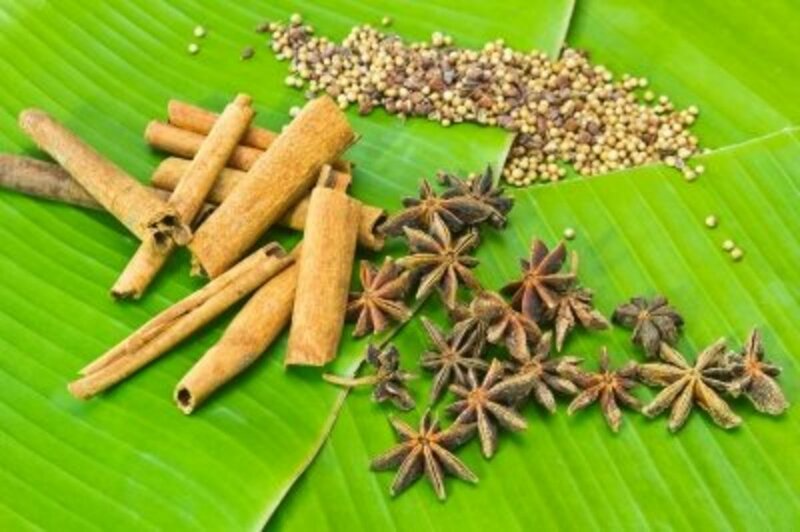 At some point, I branched off into collecting spice tins. 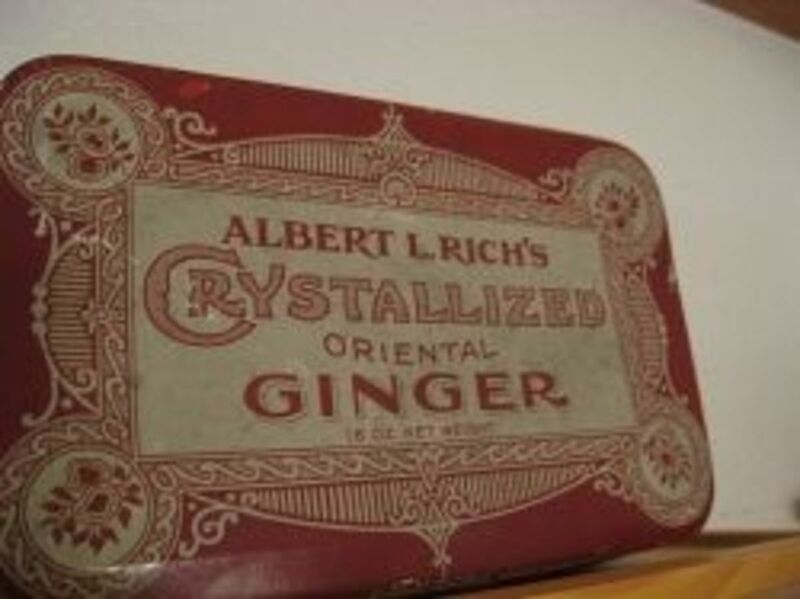 It wasn't just any spice, it had to be ginger. The reason for that is my nickname is Ginger. 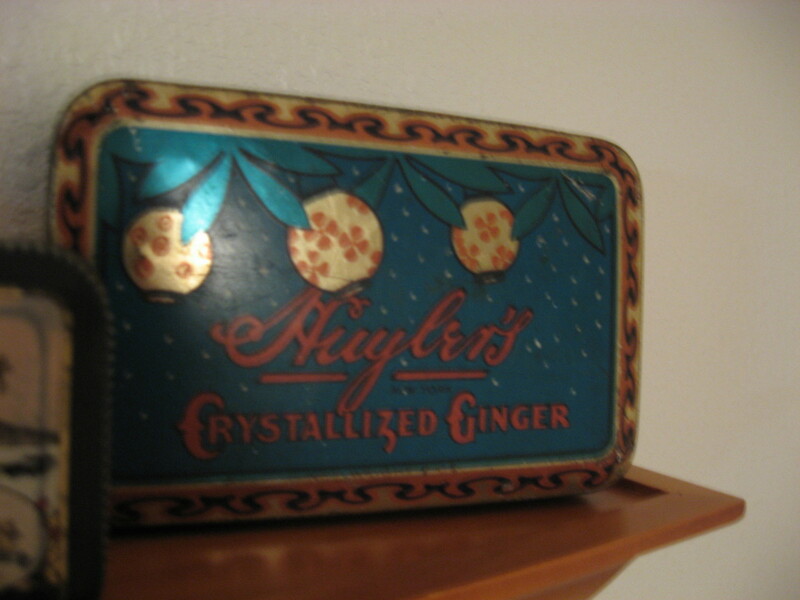 The ginger tins that I wanted for my collection were the vintage ones that sometimes showed up at flea markets and even yard sales. I have some that date back to the 1800s. 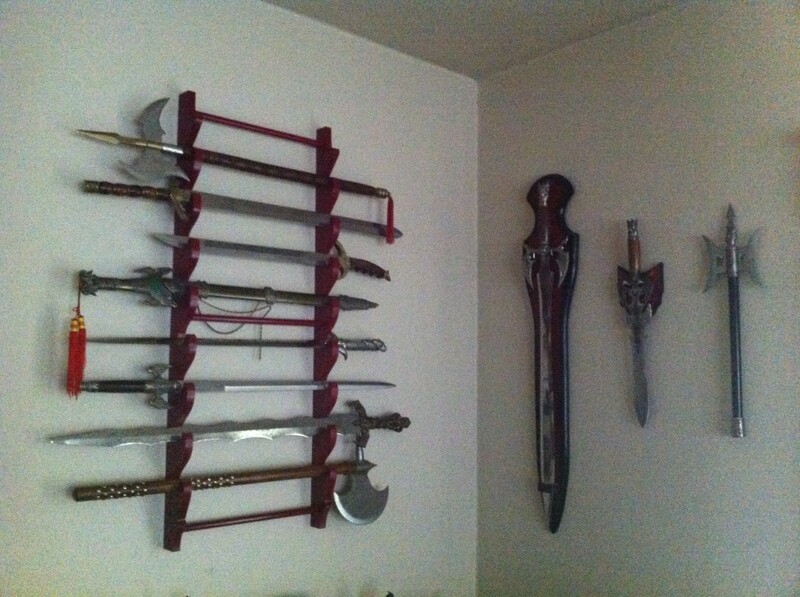 Now once you have a collection, the next step is displaying it. The logical place for it was the kitchen, but I have little free wall space in that room. 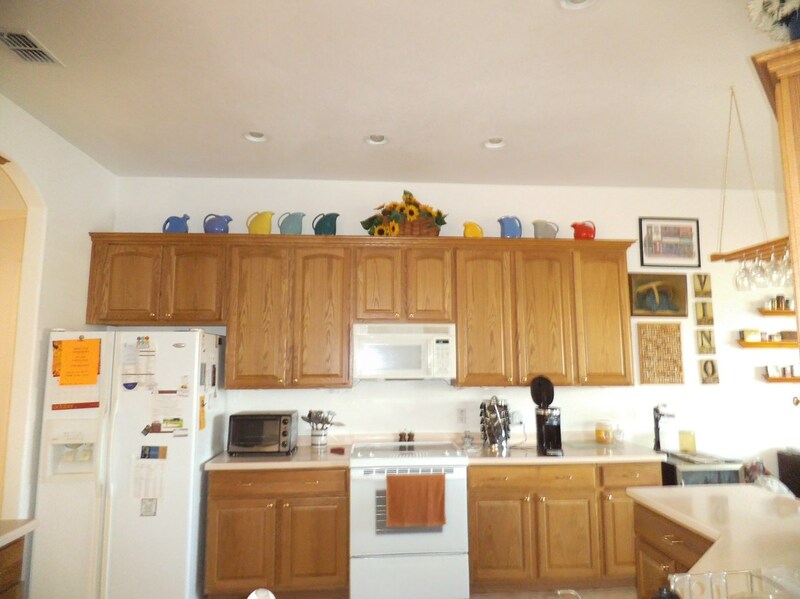 The appliances seem to intrude and take up all the room. Our next choice was the breakfast room which had a bare wall just begging to be used for something. My husband came up with the idea of using narrow shelves to hold my tin collection. Here's my kitchen with the breakfast room off to the right. 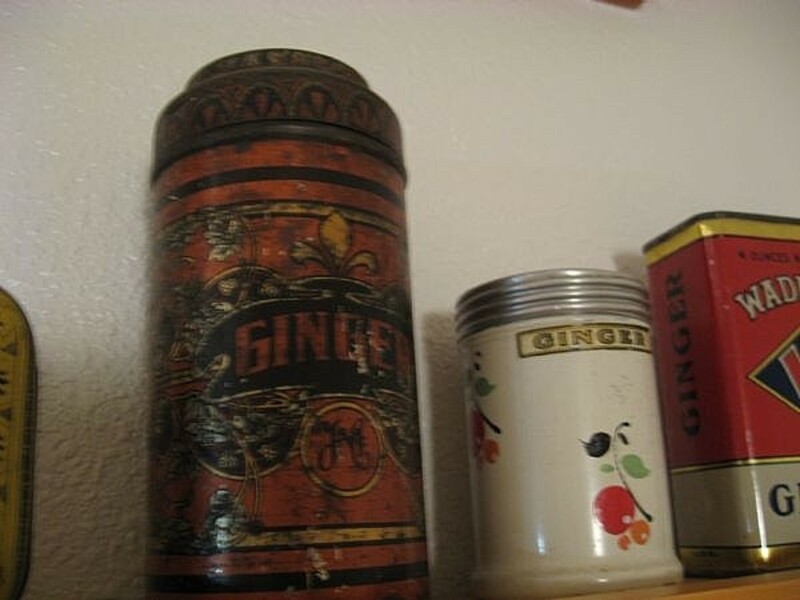 As you can see, I have displays on top of the cabinets, but that would not work for these smaller items like my ginger tin collection. What I am displaying here is my collection of Hall China pitchers from the 1940s. Their sleek lines show up well against the white walls. I have a few Fiesta pitchers as well. It's probably better for the spice tin collection to be displayed in the breakfast room. With grease from cooking getting into the air in the kitchen, it's not the best place for fragile collectibles. It isn't a problem for the Hall pitchers as those can be washed in soapy water without damaging them. 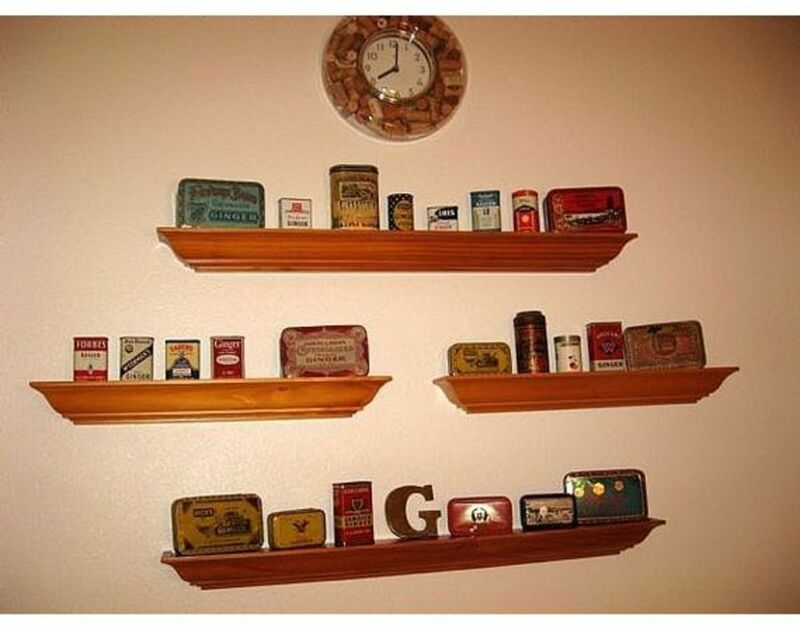 I'm sure glass shelves would have looked fine too and would have given the impression that the tins were floating on the wall. What I liked about the contoured shelving is we could match the wood of our breakfast table and our adjacent kitchen cabinets. Black is a basic color that suits almost any decor. You can get these ledge shelve in white too. If you have walnut woodwork or cabinets in your home, you'll want your display shelving to match. Don't you think this turned out great. It fills the wall but doesn't take space away from the room. Visitors to our home are always intrigued by this display, so I give them the mini-tour with a brief history of spice tins. Probably the oldest tin in my collection is the round one on the middle shelf, right hand side. 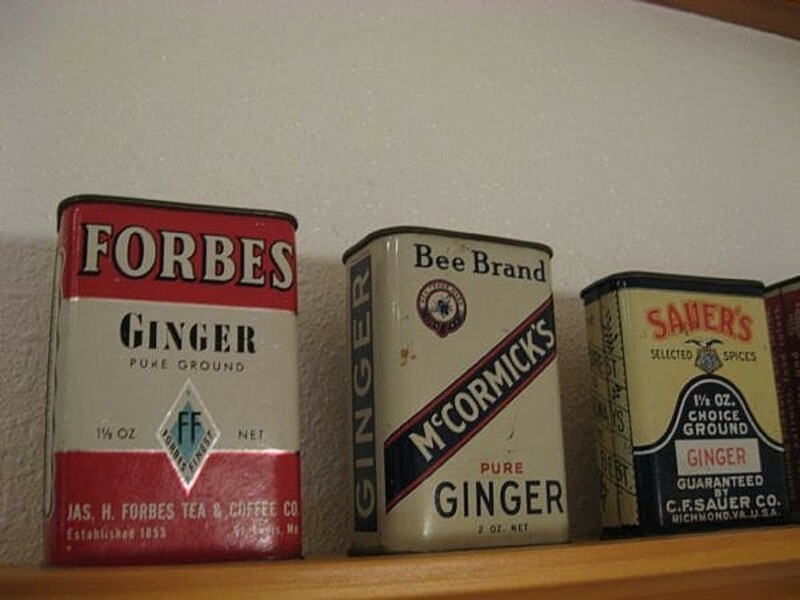 Some of the old tins still have powdered ginger in them. 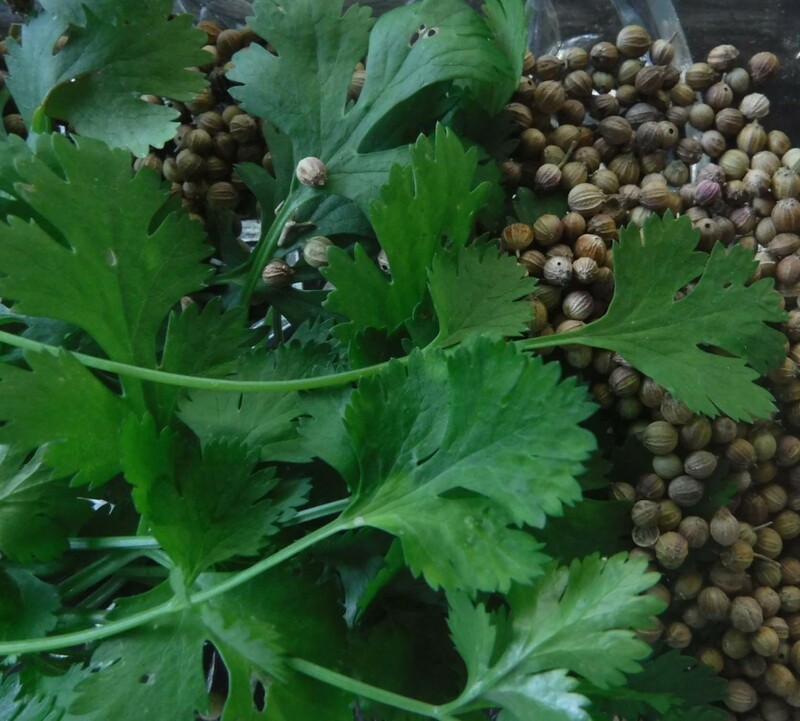 Of course, it is probably bad after all these years and I'm certainly not going to cook with any of these 30 to 100 year old spices. 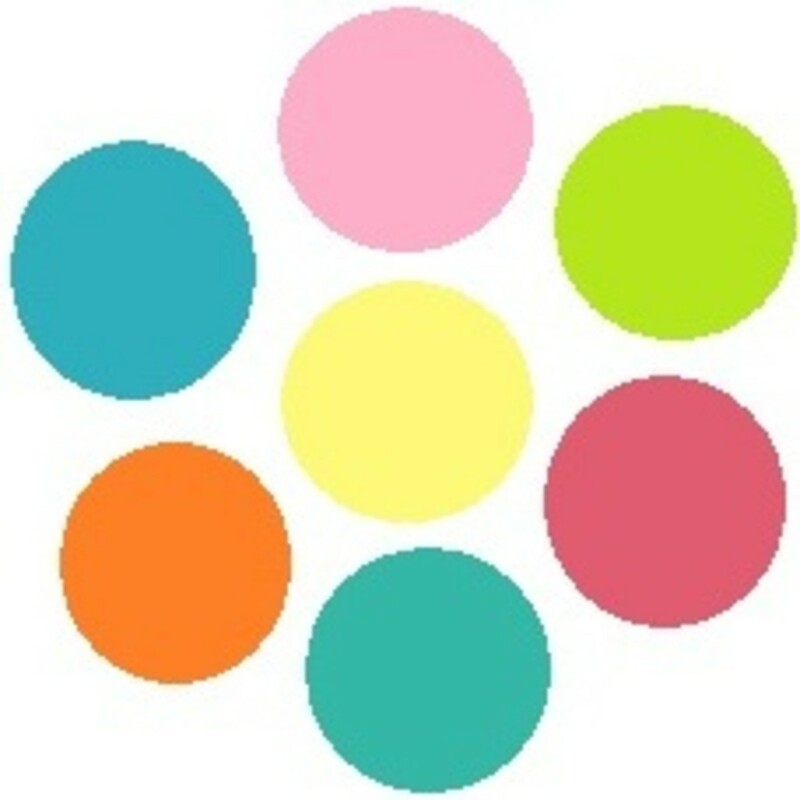 Are You Happy with Your Displays of Collectibles? My husband is quite handy and keeps a well-stocked workbench. That makes it easy when it's time to put up shelving. He prefers the rechargeable screwdriver. If you want one tool that you'll use over and over, get one of these. You can use an old-style screwdriver to put up your shelves, but this makes it ever-so-easy to do. 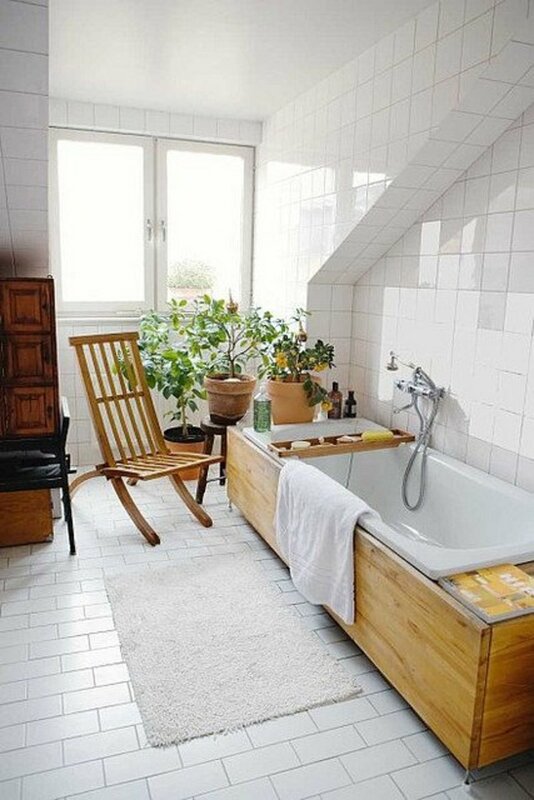 The things you love and collect are unique to you and make your house an extension of your interests. 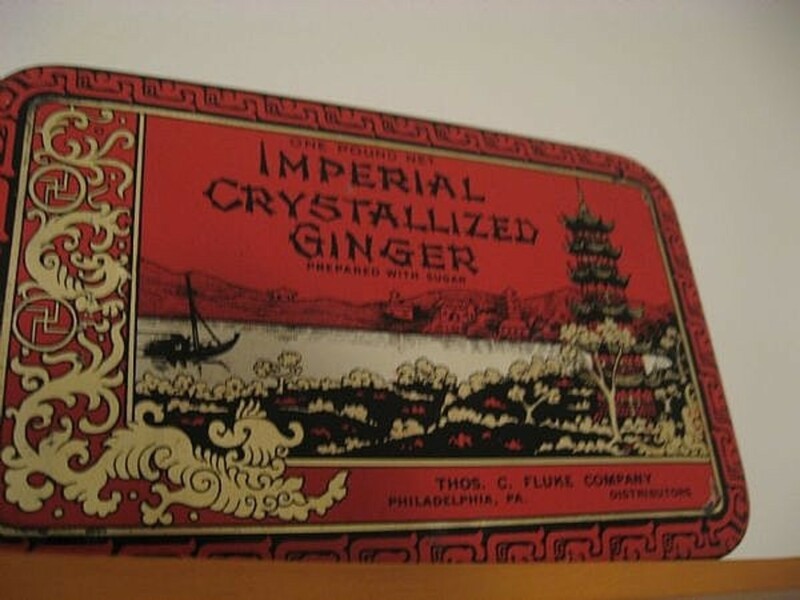 Crystalized ginger is a candy, not a cooking spice. The round one is the oldest one I have. It's not in perfect condition but I think the dents and scrapes and discoloration shows its history and gives it a unique patina. 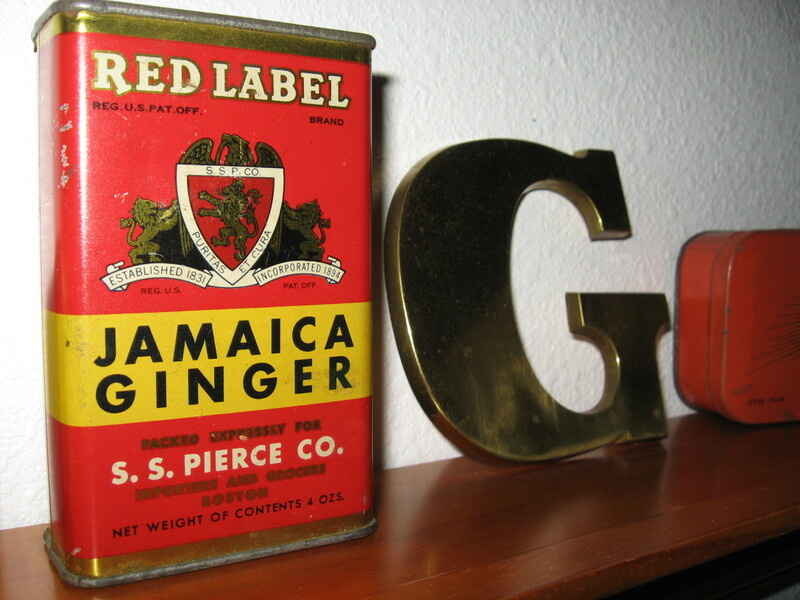 I love ginger so you collection is fascinating to me. The variety out there when you pursue a collection is mind boggling. @Diana Wenzel: Sounds like a delightful way to show the carvings and photos. Love how you showcased your spice tin collection. I have some of those same shelves. 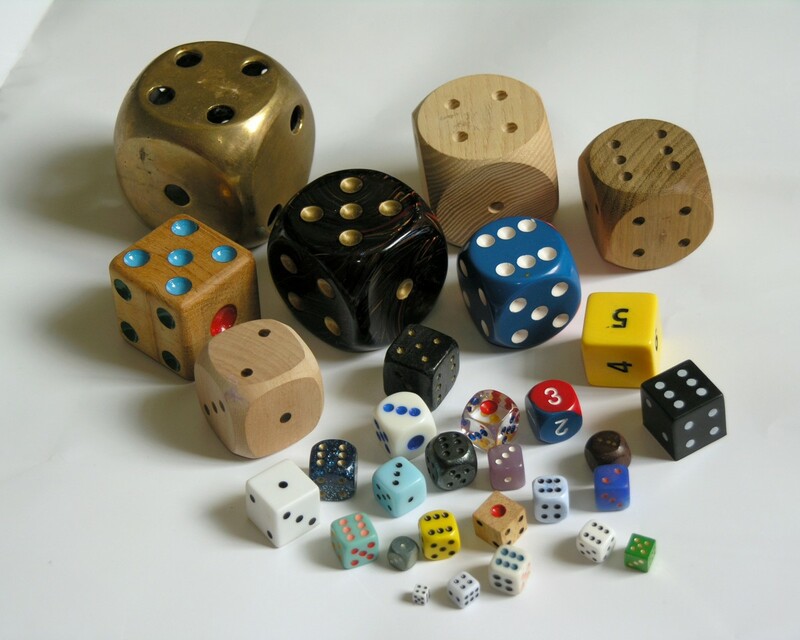 They are classy and can be used for many things. I bought them when I had a beach condo on the Gulf Coast and used them to feature my carved shorebirds and wildlife photographs.